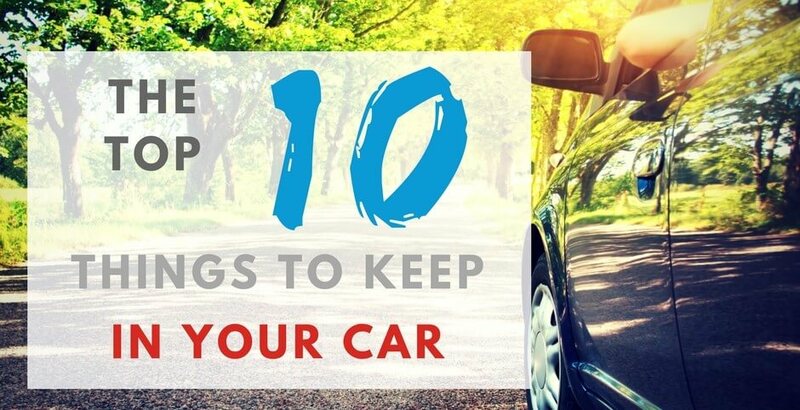 We have made a list of things to keep in your car that may come in handy in certain situations. We like to keep you prepared for an unpredictable world here at Watkin Davies. These items could make your journeys easier and, at times, safer too. If your car’s battery goes flat, jump leads can be helpful. Use them to jump-start your car from the battery of another car. If there’s no one around to help jump start your car, it may be time to call your breakdown service. You never know when you’ll need one, so it’s best to keep one handy. Whether it’s a plaster and an antiseptic wipe for a scrape, or a bee sting, a first aid kit in the car can help solve the problem quickly. Your car might have even come with one. If your car breaks down, a high visibility vest is a great item to have handy. It’ll keep you safer by making sure you’re seen by other road users day or night and if you get a hi-vis coat, you’ll be warm too. It’s worth having an emergency bottle of water and a few snack bars in your car. You never know when you’ll break down or get delayed and need something to keep you going. Having a charger in the car is becoming more widespread and you could already have one in your car. If not, it might be worth keeping one in your car for emergencies. A blanket comes in handy if you ever break down in the cold. You’ll be thankful for putting an old waterproof coat in the boot if you ever need to change a tyre in the rain too. A torch might be useful if you need to change a tyre at night. It could help you avoid slipping and falling. Also don’t forget most mobile phones now have torch functions or an app. There’s that tricky angle when the sun just goes around the sun visor. Or when it’s sunny after raining, making it even harder to see. For situations like these, it’s a great idea to have a pair of sunglasses handy. You don’t legally have to carry a spare wheel, but it is illegal to drive on a tyre that is damaged or has thin tread. Learning how to change a tyre is easy and will keep you moving. Keeping one handy will make thawing your windscreen much easier on wintry mornings. It’s also worth having a bottle of de-icer spray to make it even easier for you on those mornings. There are different items that you might want to keep in the boot too but we just want to make sure you’ve got the basics covered to keep you safe if something happens. Do you have any tips you could add? Share them with us on Twitter or Facebook.